Leading Men of Bollywood: the most successful and popular male stars in India and Pakistan. From the simple villager to the angry young man, the rich NRI, and now back to the small town guy - the leading character in Bollywood has been but a mere reflection of the changes which have taken place in the Indian society in the past decades. Few men have given timeless performances which would be a rich treasure for new generations to enjoy and learn. Take a look at current leading male actors in Bollywood and their top performances. Still going strong. He is a true phenomenon. We'll need a book or two to cover his best films and stories and rumors connected to his life and work. 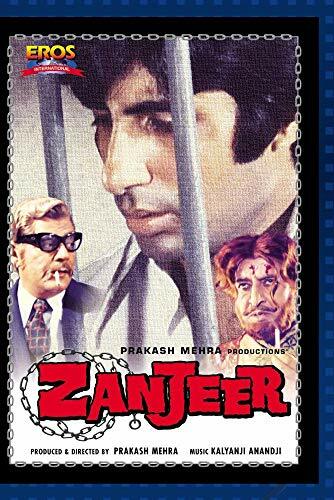 As a kid in the 80's it was always a special day when an Amitabh Bachchan starrer was aired on TV. Cable TV wasn't around then and trips to cinema hall were few and far between. Anyone who has followed his career and personal life over the past two decades or more will testify to how strong willed a man and performer he is. Failures and backstabbing in Politics and Business could not break his will. He continues to experiment and improve himself. Among the leading men in Bollywood he is an exception since before him - men over a certain age were relegated to playing supporting roles. In my opinion no other actor in Bollywood can match his screen presence. 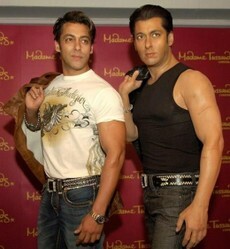 Who is the best bollywood actor? Aamir Khan is much more than an actor, he is a producer and director of exceptional caliber too. Son of famous film producer Tahir Hussain, Aamir didn't really need his father's support, like many other Star Sons and Daughters to carve out a niche for himself in Bollywood. Unlike most other Indian Cinema stars Aamir prefers quality over quantity. Though he has acted in only a few dozen movies - most of them have achieved commercial success along with critical acclaim. His movies Lagaan and Rang De Basanti have been Indian entries to Oscars. All his fans would like him to hold the trophy sometime soon. I am not a big fan of his dialogue delivery and style of acting but theres no denying the fact that Shah Rukh Khan has had tremendous commercial success and has a giant fan base. He started his career through TV in the late 1980's and gave some good performance in his initial movies. Baazigar and Darr in 1993 heralded the era of a new super star in Bollywood. King Khan had arrived and in style. He has a good head for business and leads two Production Companies and also has a share in the IPL team Kolkata Knight Riders. Newsweek named him one of the 50 most powerful people in the world, in the year 2008. With a net worth of nearly a billion - herez a man who is much more than a biggie on celluloid alone. Akshay Kumar is one of the few self-made stars in Bollywood. In an industry full of star-kids and those with the right connections - Akshay made it big solely on the strength of his hard work and determination. Known for his martial arts skills and cool stunts - Akshay has diversified into comedy. I really like his Hera Pheri series of movies with Sunil Shetty and Paresh Rawal. He has hosted TV shows like Katron ke Khiladi and Big Boss as well. Akshay is married to Twinkle Khanna, the daughter of Rajesh Khanna - the first super star of Bollywood, who reigned during the 1970's. During his 2 decade long innings in Bollywood - Akshay Kumar has seen many ups and downs. He has matured as an individual and as an actor. The journey ahead is full of promises and rewards for this star. Son of famous script writer Salim Khan - Salman Khan is well known for his hot temper, numerous relationships and break ups with bollywood beauties, and usually acrimonious relationship with the media. There is no doubt however, that despite these disturbances, he has been able to deliver commercial success for over 2 decades. From Maine Pyaar Kiya to Dabangg he has traveled a long and successful journey. Like many other contemporary stars he has been active on the small screen as well. What's the best Bollywood actor today? I refuse to choose. I love 'em all!! But I must says since you mentioned Amitabh Bachchan, he did do a good job laying the ground work and setting an example for the others who followed after. The best Bollywood Films from India and Pakistan from the dawn of movies till now. This page looks at some of the current leading ladies of Bollywood who have proved themselves time and again and are leading the pack.